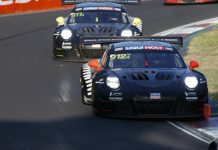 David Brabham was lucky to escape his Liqui Moly Bathurst 12 Hours debut with severe bruising after contact sent him into the wall at The Cutting at Mount Panorama, with just 40 minutes remaining. The sportscar legend was transferred to the local Orange hospital for further observation and precautionary scans, but was thankfully discharged late on Sunday night. 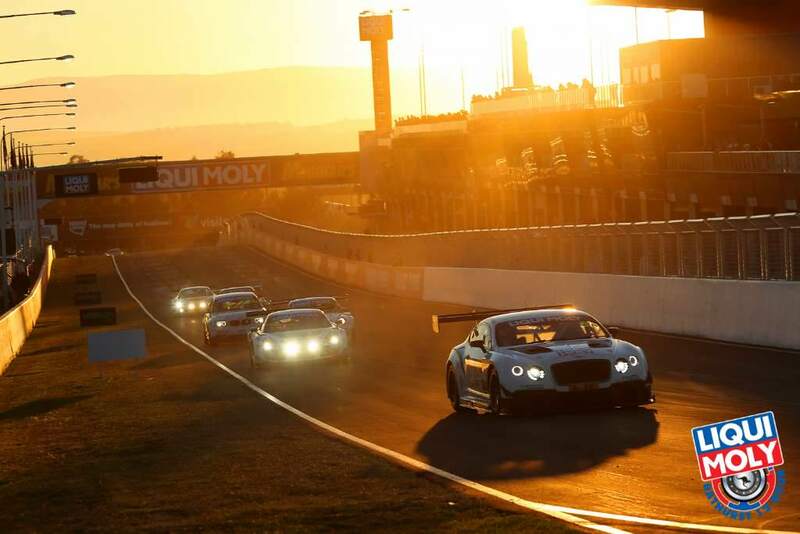 Although a former Bathurst 1000 winner, Brabham was contesting his first Bathurst 12 Hours with Flying B Racing this weekend, aboard the Bentley Continental GT3. It was also David’s first visit to his homeland since he launched Project Brabham, the sustainable open source racing model to return the historic Brabham Racing team to race tracks around the world. The triple Le Mans class winner took the race start and, as dawn broke over the Mountain, worked his way up from 15th to fifth before a restart penalty, incurred when an Aston Martin ahead went wide on to the grass forcing David to pass, dropped the Flying B Bentley to eighth. 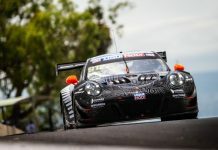 Strong stints from teammates John Bowe and Peter Edwards, last year’s race victors, ensured the car kept within reach of the top 10 while splitting the works Bentleys throughout. Brabs returned to the helm in the final stages but a risky move from Stefan Mucke in the Craft-Bamboo Aston launched Brabham into the wall, bringing an abrupt end to Flying B’s hopes of a class podium and top 10 finish. 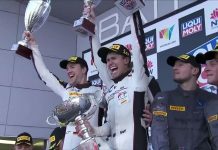 “Well this trip has been one of many firsts; my first time competing at the Bathurst 12 Hour and the first time I have ended up in hospital at a race meeting. “It was a shame it ended up against a wall because the Flying B team did a great job with a new car and it was going well enough to finish in the top 10. The Bentley Continental GT3 was nice to drive and our pace was very close to the works cars, so the team can be proud of what they did achieve out of the weekend. It sounded like it was a close finish to the flag and I wish I had been around to see it. “I also got a chance to meet some of the Project Brabham members while I was at the track and it was great to see the enthusiasm they have for the Brabham Racing team.